Geological anomalies and mysteries of our planet. 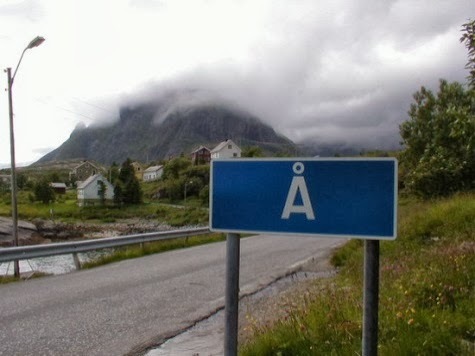 The Shortest place name is "Å" it is located in both Sweden and Norway. In Scandinavian languages, "Å" means "river". The image above is one of the newly replaces road signs for the area – they are frequently stolen for their novelty value. 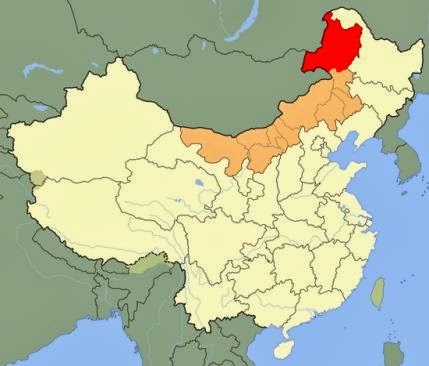 China with Inner Mongolia highlighted in orange and Hulunbuir city highlighted in red. The largest city in the world – based on surface area, is Hulunbuir, Inner Mongolia (China) which is 263 953 km sq (102 000 sq mi). Lesotho, Vatican City, and San Marino are the only countries completely surrounded by one other country. 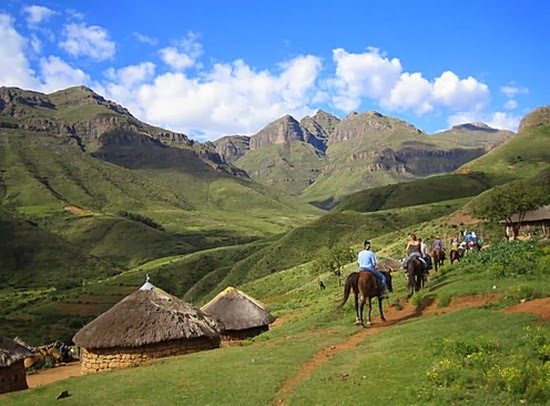 Lesotho is completely surrounded by South Africa, and Vatican City, and San Marino are both completely surrounded by Italy. 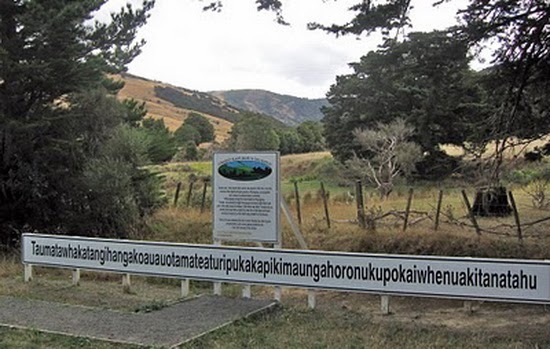 The second longest geographical name that is accepted in the world is “Taumatawhakatangihangak oauauotamateaturipukaka pikimaungahoronukupokaiwhe nua kitanatahu” (85 letters) which is a hill in New Zealand – it is a maori phrase which translates to “place where Tamatea, the man with the big knees, who slid, climbed and swallowed mountains, known as land-eater, played his flute to his loved one”. It was the longest until recently (though the Guinness Book of Records still regards it as the longest); it has most likely now been supplanted by Krung thep maha nakorn amorn ratana kosin¬mahintar ayutthay amaha dilok phop noppa ratrajathani burirom udom rajaniwes¬mahasat harn amorn phimarn avatarn sathit sakkattiya visanukamprasit in Thailand (163 letters). The White Sea, in Russia, has the lowest temperature, only -2 degrees centigrade. 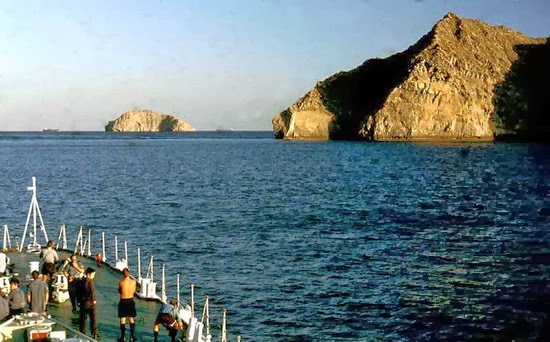 The Persian Gulf is the warmest sea. In the summer its temperature reaches 35.6 degrees centigrade. 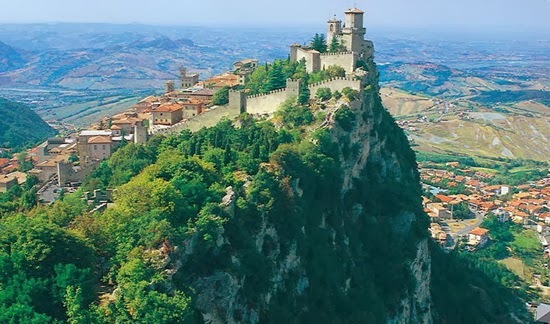 San Marino claims to be the world’s oldest constitutional republic – it was founded in 301 by a Christian stonemason fleeing persecution under Emperor Diocletian. Its constitution of1600 is the oldest written constitution in the world. San Marino is pictured above. 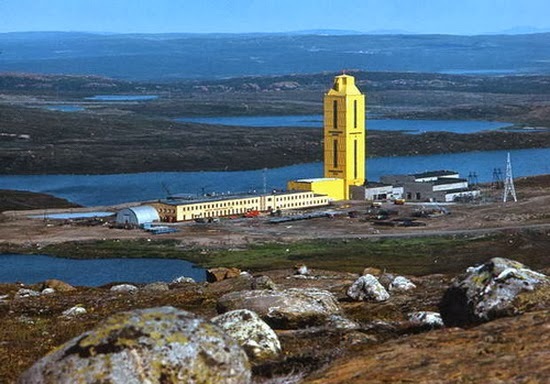 The deepest hole ever drilled by man is the Kola Super deep Borehole, in Russia. It reached a depth of 12,261 meters (about 40,226 feet or 7.62 miles). It was drilled for scientific research and gave up some unexpected discoveries, one of which was a huge deposit of hydrogen – so massive that the mud coming from the hole was “boiling” with it. Due to the bulge of the earth at the equator, the peak of Ecuador's Mount Chimborazo(20,700 feet or 6,310 meters) is the point farthest from the center of the earth so the mountain claims the title of being the "highest point on earth" although Mt. Everest is still the highest point above sea level. Mt. 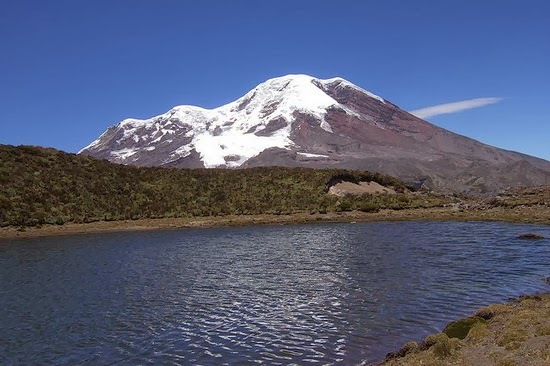 Chimborazo is an extinct volcano and is about one degree south of the equator. The Mariana Trench is the deepest part of the world's oceans, and the lowest elevation of the surface of the Earth's crust. It is currently estimated to be up to 10,971 m (35,994 ft) deep. It is located in the western Pacific Ocean, to the east of the Mariana Islands. 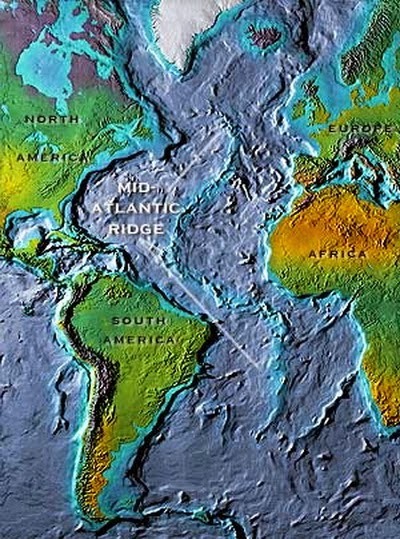 The Mid-Atlantic Ridge is the Longest mountain chain on earth (at 40 000 kilometers or 25 000 miles). It is located along the middle of the Atlantic. Iceland is the only part of this chain that is above water. The Andes form the longest exposed mountain range at 7 000 kilometers (4 350 miles). 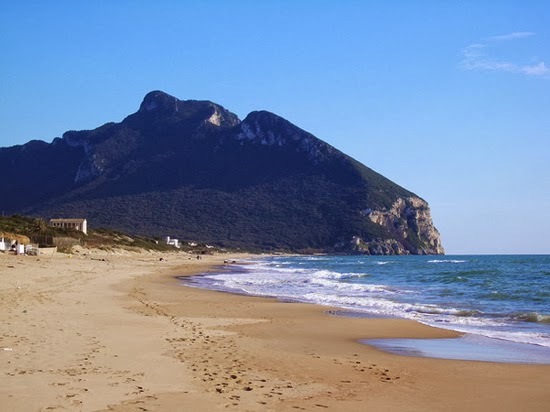 Mount Circeo on Cape Circaeum on the western coast of Italy was once called Aeaea (5 vowels in a row with no consonants). It was believed in mythology to be the home of the witch Circe. Two other vowel-only geographic locations are the town of Aiea in Hawaii, and Eiao – one of the Marquise Islands. 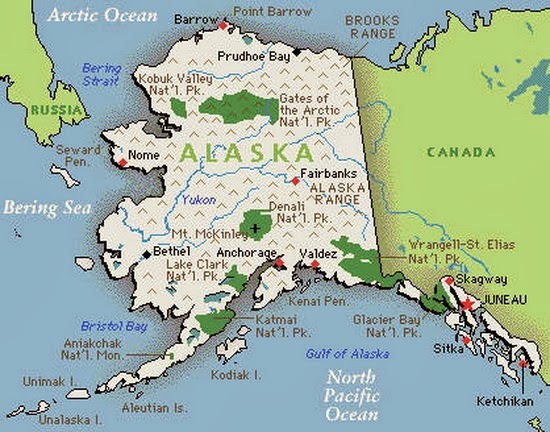 Alaska is the most Northern, Eastern and Western state in all of America. It is the only state that enters the “Eastern Hemisphere” making it also the most eastern lying and western lying state.